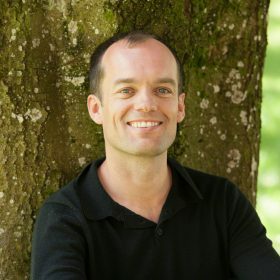 David Mooney MOVEMENT MEDICINE teacher from Dublin, Ireland engaged in a 10-year, in-depth study with the School of Movement Medicine and is now a fully qualified teacher of this work. He is also a practicing psychotherapist and integrates his experience and skills as a therapist into his work as a Movement Medicine Teacher. He sees this practice as a way to transform patterns and wounds into opportunities for growth and healing. gateway to connect with He has a strong connection with earth-based healing modalities, including shamanism and deep ecology. David is also the founder of the Funky Seomra Alcohol and Drug Free nightclub, which has received much media attention and acclaim on TV, Radio and Press. 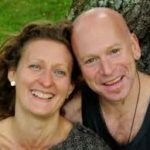 Susannah and Ya’Acov Darling Khan are the founders of Movement Medicine and the Directors of The School of Movement Medicine. Since 1989, they have been travelling the world encouraging people to move beyond their held patterns and self-limiting expectations and discover themselves and their gifts through movement. In order to do that, they’ve had to do exactly the same themselves. Their journey has taken them to meet and work with some extraordinary people. They have studied with healers and shamans from the Amazon to the Arctic Circle, including an 18-year apprenticeship with Gabrielle Roth. Shiuli Subaya has extensive knowledge of all types of yoga, but also really understands women, their bodies, and teaches how to tune in and truly relax. She is very good at knowing what you need to keep your body fine-tuned, your mind at ease and creating body harmony. She is an expert in her field and her knowledge on the subject grows all the time as she attends courses and retreats. In a former life in Bombay, 13 yrs ago, Shiuli Subaya had a career as an actress and pop singer, with a few No 1 hits under her belt. Since coming to London, she has made in-depth explorations in the fields of Karnatic music, Kundalini Yoga, 5 Rhythms Ecstatic Dance, Movement Medicine & Reflexology, and all of this naturally enters into her work as a Yoga Therapist, having trained under Yogi SAA Ramaiah at The Kriya Babaji Nagaraj Holistic Hospital in Tamil Nadu, India. Currently she is apprenticing her teachers Susannah & Yaacov Darling Khan with the School of Movement Medicine, Devon UK & working on an album of mantras and ancient songs, singing regularly in rituals and ceremonies & continuing her training in the South Indian Classical tradition of Karnatic music under her Guru, Prof T V Gopalakrishnan. Shiuli is committed to helping us discover more of ourselves through sound, movement and touch, supporting us to fully understand and integrate the different aspects of ourselves and the elemental forces of the universe that play through us.